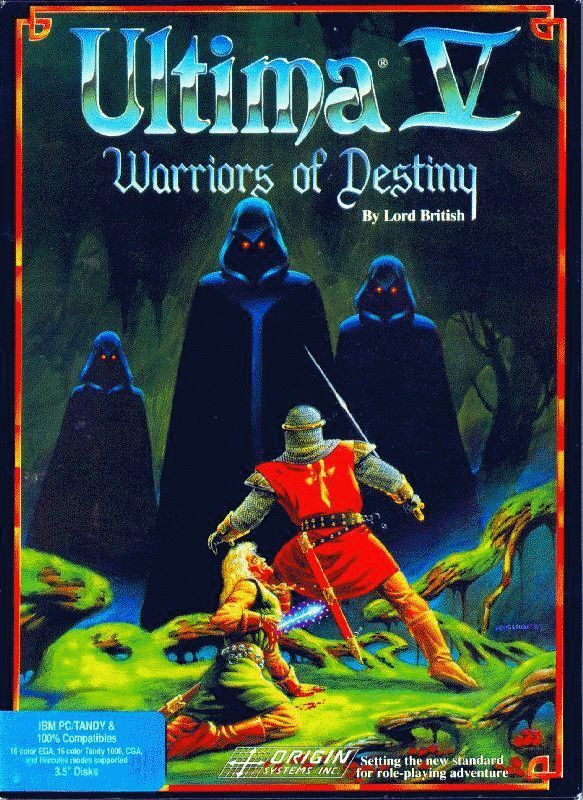 Fans of classic computer role-playing games can get to read all about how Origin Systems’ Ultima series came to life. The many hurdles which occurred along the way in the software development cycle are exquisitely explored. It reads like a very deeply researched paper. I had the opportunity to look at an early draft of a preview chapter (which is available on www.theira.it). At the same time, readers will get to learn more about the creator, Richard Garriott, and how this series evolved from its eight-bit days to thirty-two. This book is finished, and just needs support from fans to facilitate translating it from its native language, Italian, to English. Andrea: Here in Italy, I wrote a lot of articles for computer, technology and videogames magazines. In 2014, I created an online magazine (www.notiziedalfronte.it) whose goal is to document the history of the First World War, as though you were reading events as it unfolded on that day. There is exactly 100 years of delay. That is, on September 20, 2018, you’ll read the news as it would have appeared on September 20, 1918 and so on. This site is followed by more than 3.000 Italian readers. This makes me a historian communicator. I am a collector of stories. That’s exactly why wrote this book. The Ultima series is special because Richard Garriott was able to change the formula of his games many times. He succeeded at renewing it without losing the loyalty of his fan-base. There are very few video game series that spans their life in decades as Ultima. Enrico: I am a professional fashion and advertising photographer since 1985 and am based in Milan. Apart from my job, I love all the visual art forms, and I believe the video game medium is one of the new expressions of art. In the last 10 years, the technologies made available to graphic designers and developers has allowed recreating fantastic worlds with extraordinary realism. They are real works of art. One such game is From Software’s Bloodborne (inspired by H. P. Lovecraft). Their amazing use of lighting technique and choice of colours perfectly materialized the gothic atmosphere this great writer described. When did the idea of this book come about and how did you two meet? Enrico: I saw Andrea’s post on Ultima Dragons Internet Chapter, where he introduced himself and said he’s writing a book on about this game series. It was incredible news for me and he lived 60 km away! I never imagined someone in Italy had the same passion as I did. I immediately wrote back since he was asking for help. Of course, I had all the right connections. I said I am a friend of Garriott, Denis Loubet and many others—making book became part of my job too. Andrea: I studied the history of video games for a long time and when I decided to write a biography on Richard Garriott, I knew I could write a very interesting part of the history of a particular niche of video games (CRPG) and the story of a very interesting company (Origin Systems Inc.) Many important programmers and game developers started their career in OSI or were employed by them. I’m talking about Warren Spector, Paul Neurath, Chris Roberts, John Romero, Martin Galway, Ken Demarest, Raph Koster and many many more. Origin launched their career and their later work was greatly influenced by their experience. This idea prompted me to write a series of short articles about Garriott’s life and works. They were very well received, and it pushed me to think bigger. Was it hard to get in contact with Lord British? How did this happen? Enrico: I learned this series was one of the most sought after by video game collectors all over the world. Luckily, I have to admit, with a lot of methods, strategies and connections in a decade I immodestly collected most if not all the rarest Ultima items, games, posters t-shirts….practically all the super rarities and releases. My collection is probably one of the largest of all those around the world. At the same time, this allowed me to network and build my connections, and I simply emailed Garriott. He was very friendly, and what gave me a special chance to connect was back in 2009. I created a charity calendar, in favour of people with a handicap, inspired by the virtues [characters had to achieve] from the Ultima games. Garriott was very excited about my project, and he helped me create layouts for each month. Together, we developed MYSTIK, the name of the calendar. Andrea: Finding some of these people was pretty difficult, especially those who retired. But I was lucky. With very few exceptions, former Origin employees and Garriott’s associates agreed to help. I learned many bonds of friendship were forged, and they are still strong to this day. Sometimes I had to give up an important interview since I wasn’t able to find the right person or he/she wasn’t interested in speaking. That was frustrating. It was a wild ride, actually. Lots of frustration and satisfaction. Would you say Ultima helped pave the way for future games, namely Square Enix’s Final Fantasy series? Enrico: On a more general level, I can say that the depth of Ultima’s gameplay inspired almost all the role-playing games that came later, revolutionizing generations of developers, including Final Fantasy in some way. Would you say this book is a complete biography of the game, the creator and the studio? Andrea: This won’t be a complete biography. About the past, I was unable to write all I discovered. The book is big, and we had to split the content into two volumes. By following our Twitter and Facebook pages, you can discover more. For those people who have not played these games, or wanted to start collecting memorabilia, what kind of tips can you offer? Enrico: To build a collection like mine is virtually impossible these days. I was able, years ago, to create a great number of connections with other collectors too, and it allowed me to trade a lot of what I missed using my doubles or games from other series. I can say that the Ultima series, with its hundreds of worldwide releases, different manuals, art covers, has made it one of the most sought-after in the world, if not the most. The value of the very first editions, now extremely rare and complete (for example ULTIMA ESCAPE FROM MOUNT DRASH), has made some editions mythical and their value is very high. What are your thoughts on the final parts of the Ultima legacy? Some say it was not as polished. But were there other factors at play? Andrea: It’s hard to say. Ultima IX was an act of love by Richard Garriott. This series was more than a game and he wasn’t ready to accept that his original plan (a trilogy of trilogies) was somehow doomed by the changes in Origin Systems Inc. when Electronic Arts bought the company and wanted to restructure this operation. By 1999, OSI wasn’t the company he co-founded in 1983 anymore. Ultima IX development has a very important part in Volume II of Through the Moongate. I’m proud to say that I was able to write a story never been told before about this cycle. With Kickstarter, the goal is to have the finances to first help pay for translating the work and secondly pay for printing. What else will it cover? Andrea: The advertisers will have to be paid so more people can learn about our project. We also have to pay Denis Loubet for the video that is on our Kickstarter page. I filmed and edited this commercial too. I also created the front art cover of the book and had to hire a 3D renderer to put in the final touches. What were some of the obstacles you encountered when deciding to publish? Do you have any contingency plans should it fail? Andrea: I turned down three different publishing proposals by Italian publishing houses. If I signed with them, my book wouldn’t have been translated into English and I would have lost the rights. I decided to self-publish so there is an international release of my work; this is for the English-speaking fans of Ultima (the majority of the fan-base, actually). If crowdfunding should fail, I think we could release the Italian version to fund the translation. This was a strategy we considered, but we dropped it because we felt it was somewhat unfair to release this book first in Italian and later in English. So I decided to wait. I finished writing this book in September 2017. Enrico: It must not fail! We are looking at all the options to make available to backers. There will be a collector’s edition, normal copy and even autographed by Richard Garriott copies. eBooks in English and Italian will be offered too. Andrea: As with other crowdfunding campaigns, we need your help. If you like this project—if you feel it’s worth your money—please share it and let your friend know about it. Your help is invaluable and, at the end of the day, will make the difference.